On a clear and warm June day we ambled over the dam shown in the picture. The Rhine marks the northern border of Switzerland from Germany. This photograph was made from the German side of the river. 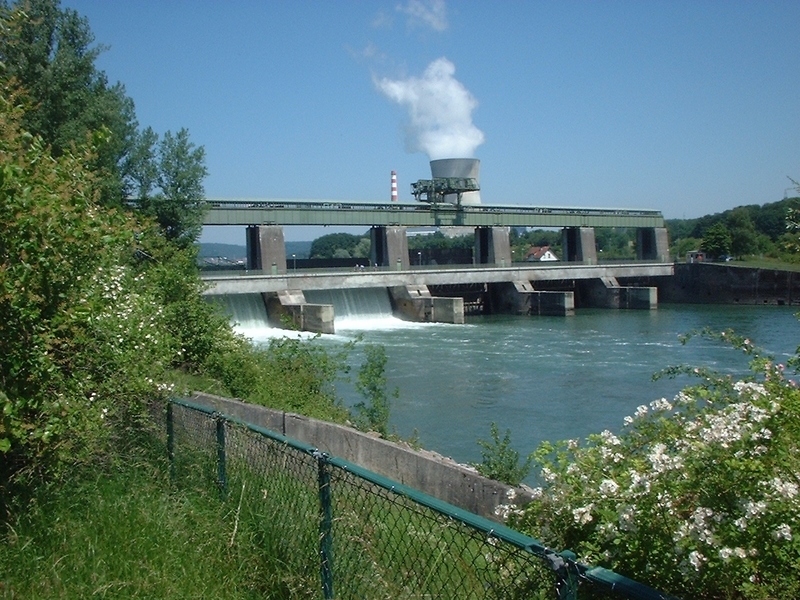 One of the many dams on the Rhine, this particular one is in Leibstadt. The nuclear power station of Leibstadt can be seen in the background with its characteristic puff of steam. The Swiss government pays a non-neglibile amount to the German towns across the river as compensation for shadow cast on them by the steam.